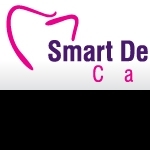 Smart Dental Care - Dentists Bolton Bolton Road Dental Centre provides an exemplary level of patient care in a relaxing environment. Staff members at the practice have a passion for delivering quality dentistry in a friendly, supportive and relaxed atmosphere. With fully comprehensive dental care, Bolton Road Dental Centre makes sure you maintain the highest standard of oral health. Whether you require private or NHS treatment, the level of skill and precision of the practice's dentists is unparalleled. Smart Dental Care places high emphasis on building relationships with clients. By providing patients with clear and relevant information, Bolton Road Dental Practice ensures an exemplary level of patient care.